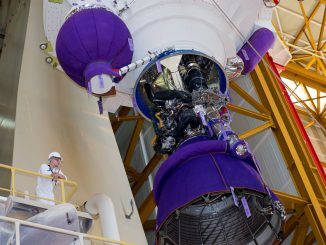 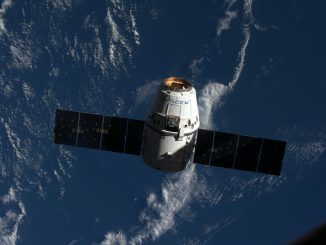 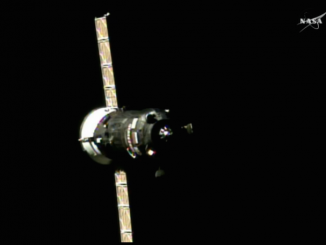 A Progress refueling and resupply freighter linked up with the International Space Station’s Pirs docking compartment Monday, two days after blasting off from Kazakhstan with more than 2.6 tons of cargo, propellants and water. 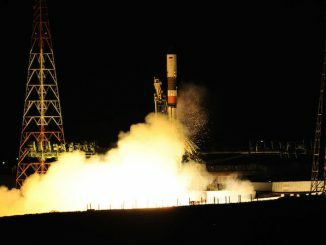 Russia’s Progress MS-03 cargo crafted rode a Soyuz rocket into orbit Saturday from the Baikonur Cosmodrome, beginning a two-day pursuit of the International Space Station. 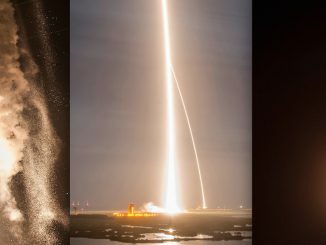 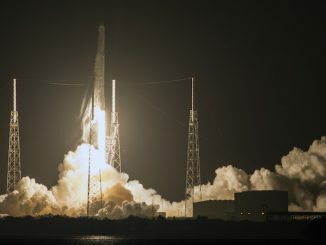 Rising into a midnight sky lit by the full moon, a SpaceX Falcon 9 rocket took off from Cape Canaveral early Monday with a commercial cargo craft on the way to the International Space Station, then returned to Florida’s Space Coast for a dramatic nighttime landing. 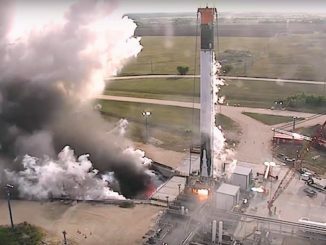 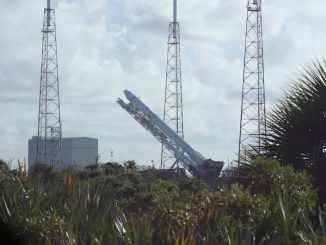 SpaceX hoisted its Falcon 9 rocket upright Sunday evening, hours before launching on a commercial resupply mission to the International Space Station. 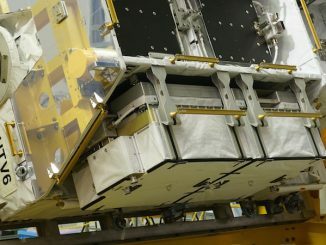 Technicians installed time-sensitive supplies into the Dragon cargo capsule earlier in the day. 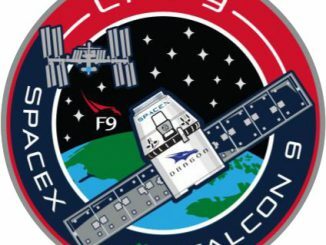 Track the major milestones of Monday’s launch of a Falcon 9 rocket from Cape Canaveral with a Dragon cargo craft heading for the International Space Station.